Admittedly winter blahs make me feel blue. 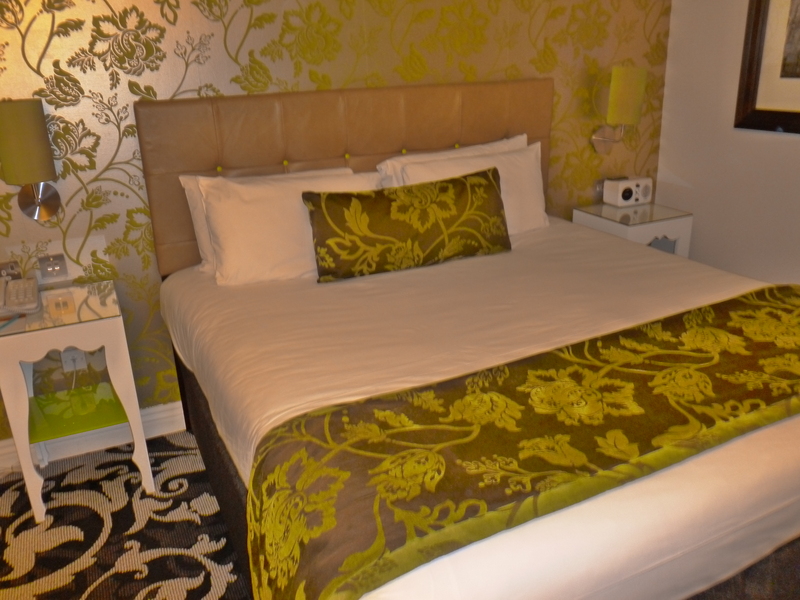 But I manage to shake it all off with a shot of Indigo – a wonderful boutique hotel in the city-centre. Indigo’s vibrant surroundings instantly pick-me-up and their friendly, welcoming staff make the entire experience that much more perfect. But sometimes it’s the little things that impress the most – and the slippers and fluffy bathrobes awaiting us in our room are quite simply divine. Cheaper than a full-blown sun holiday abroad, but still able to brighten my day – it’s the perfect winter reviver. Changing my surroundings (even slightly) works wonders – particularly if those walls are decked out in the most beautiful wallpaper and that room just happens to have a stocked complimentary mini-bar. And Indigo obviously like a romantic because their V-day (£149) deal includes champagne on arrival in your room and a three-course meal in their Limelight Bar & Grill, conveniently located downstairs. Winter is cold. Nights are long. So go on, banish those blues and treat yourself!